Use of Smartphones is rapidly taking over the digital world. It is the most anticipated technological colonization in the future. Invention of IOS, Android and Windows operating systems for these phones has led to greater innovations in the set of applications they offer. The world is waiting for a technology to replace the bulky computers, incorporate voice and message services as well as offer great mobility as well as the best photographic services. It should be noted that the effects of external malicious software are a hindrance to the digital world. Smartphones have not been spared too. Everyone is eager to know what to expect next in their mobile phones. Here are some features to be expected in the future phones followed by the “Windows Phones of the Future”. This includes the visual, audio and tactic capabilities of a device in relation to the will of the user. Future mobile phones are expected to have more realistic sounds higher resolution cameras and more usability such as sensitivity to touch and audio commands. Based on current trends, the future phones will incorporate speech synthesis, realistic video recording and display as well as the much higher response to tactic commands. The future smart phone is expected to have a bigger screen for more vivid displays. This incorporates the best videos and more realistic games. The use of Organic Light Emitting Diodes (OLED) will enable the creation of very thin and flexible screen for bigger view as well as enabling a view from the sides of the screen. Since the battery must provide energy for all applications in the phone. It will be indispensable to have a longer lasting battery and higher power capability for the future phone, which will have many complex applications. Projector incorporation- the future phone is expected to emphasize on wooing the users to buy the gadget which will all their needs. The size of images in current technology is increased by projectors. There is high possibility of inbuilt projections in the Smartphones. Three dimensional display – this is a dream for every fun lover. The possibility of viewing images in 3D and holographs enables the user to make the more brilliant view of every detail of the object. The movement of the images is also enables in three dimensions, where they will move from one point to the other in a more realistic manner. Most digital media needs to be connected via internet which is mainly accessed by LAN, VPN or WI-FI. The future Smartphone must have more elaborate and compatible capabilities to connect to the digital servers. There are high advancements where these phones have inbuilt devise such as Bluetooth, WI-FI connectivity and big range network coverage. Many first time users will accept the services in windows phones. This is because they are friendlier to use as they borrow some features from PC software. As the developments of faster software and user friendly interface, there is high possibility of upgrade of windows phones where they will incorporate computer features. This gives windows phones an advantage over other Smartphones which are not computer related. These include their susceptibility to viral attacks and malicious software. Being made by Microsoft, this version of smart phone software is still threatened by virus attacks. The use of high technology to detect and reject malicious software is a key area of concern to all Smartphone makers. Windows phones have a better chance for upgrade of their versions to enable them to reject attacks. Since people are shifting from bulky desktops to Smartphones which incorporate the services, there are high chances that they will go for user friendly phones which will borrow heavily from the usual computer programs. The use of windows software is the most widespread in current world. 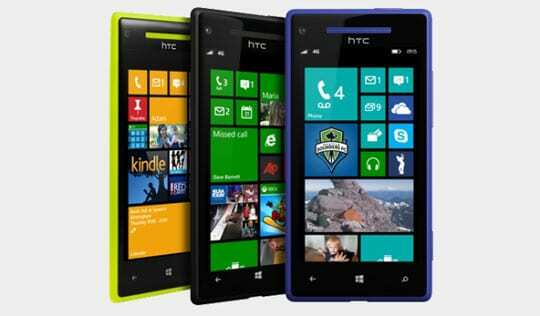 This means that many users will appreciate the windows smart phones for multipurpose use. Current windows phones are compatible with most devices. This includes network sharing, file sharing as well as display compatibility. This means that if the trend of compatible devices is in pace with windows innovations there is high possibility of a higher market share for the windows smart phones. To know more about Windows Phone please visit the wiki page.